The Dark Moon that hangs over Evershade Valley seems to have a calming effect on the ghosts that reside there. For this reason, Professor E. Gadd has been studying the friendly ghosts that are unique to the area. But when the Dark Moon suddenly breaks apart and falls into the valley below, the once-friendly ghosts become hostile, trapping E. Gadd in his bunker! 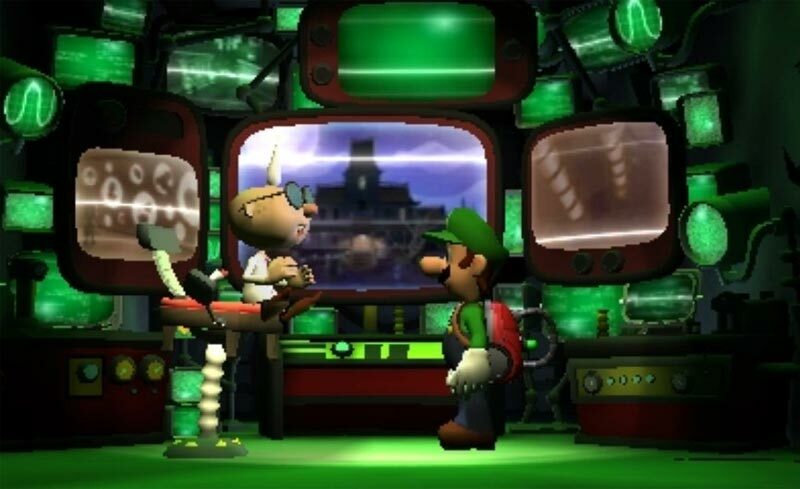 Luigi, who is at home watching TV, gets a big surprise when E. Gadd suddenly shows up on his TV screen and drags Luigi kicking and screaming through the screen into the Evershade Valley! It’s unique in the type of gameplay that it offers, and it’s a surprising game on so many levels. The sheer amount of enemy types in single player, numerous collectibles, and attention to detail given to each and every environment, is a refreshing change of pace. While we’ve seen so many games that add components like multiplayer for filler content, or just seem content with slightly varied enemy models, every peice of Dark Moon feels meaningful and intended to enhance the experience, and there are a lot of those peices. Like a trip through a carnival funhouse, the thrills of Luigi’s Mansion: Dark Moon may be simple, but they’re exciting nonetheless. Here’s hoping it doesn’t take another 12 years before we can get back into the ghostbusting game. Dark Moon takes what was basically a really good sketch of a game in the original Luigi's Mansion, and fleshes it out into a more robust, and arguably far more entertaining romp, all while retaining the distinctive flavor of that first game. It might overstay its welcome a bit, but I doubt anyone who loved the original Luigi's Mansion in spite of its paltry adventure length will complain too terribly much about having a lot of Luigi's Mansion to play. Especially when it's as well executed as Dark Moon is. 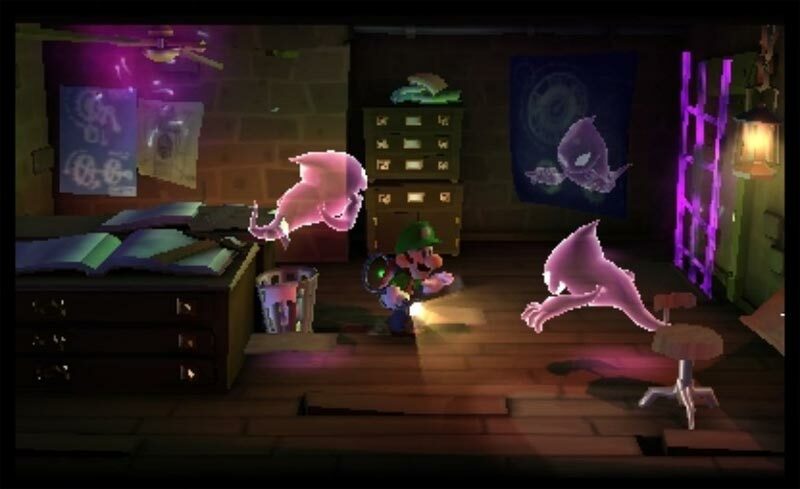 Luigi’s Mansion: Dark Moon is a long overdue sequel that delivers on what players of the first game were wanting, namely more ghost busting action starring Luigi. The presentation is wonderful and the attention to detail creates a game that has a charm and feel all its own. The controls are a little confusing at times but if you can get over them you’ll discover a fun game. Luigi's Mansion 2 is a joy, showcasing a love for characterisation and wonderful attention to detail that gives the game an inimitable personality. It never outstretches the limitations of the 3DS, but continuously proves the system's lofty capabilities. 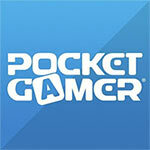 Its few minor missteps don't manage to detract from what is one of the best games on the handheld. If Luigi was a cockier guy, he'd be bragging like Mario, but we all know that's not his style, and we're luckier for it. Luigi's Mansion: Dark Moon has lost a bit of the soul of its predecessor â?? the ghosts have lost their motivations and personalities, such as they were. They're just monsters now. But by nearly every mechanical design metric, Luigi's Mansion: Dark Moon is a better game than its predecessor. Luigi’s Mansion: Dark Moon is a puzzle-rich wonderland full of irreverent humor and clever level design, but it cannot overcome the 3DS’s limitations. Tilt controls and the lack of a second analog stick really tarnishes an otherwise amazing game. The problem with Luigi’s Mansion: Dark Moon is that eventually the game boils down to “poke everything”. Check all the furniture, strobe all devices and plants, send a blast of air towards anything fan-like, and throw a little black light around for good measure. ...Dark Moon is a likable if flawed journey through an enjoyably spooky world, and while it may not hold up to a long-term residency, it’s certainly worth a weekend getaway. Luigi's Mansion: Dark Moon is nothing less than an absolute triumph for Nintendo. Everything about it from its glorious visuals right through to its in-depth, incredibly fun gameplay just oozes high quality. Luigi’s Mansion: Dark Moon is an endearing sequel that refines the original game’s formula in the best ways. Even the occasional déjà vu moments can’t hold the experience back entirely. The rich presentation (especially on the 3DS XL) and contained mission structure make it a perfect addition to the 3DS library. Whether you played the GameCube original or not, this Nintendo game is worth a look. Connection problems aside, I've really been enjoying the hell out of this new Luigi's Mansion. The whole thing is damn fun, especially for people like me who have fond memories of the Gamecube original. It's a good thing I didn't expect online play from the get-go, but that irritation is the only major downside. The rest is scary-good. Every haunted room seems to breathe with an inventive charm and delicate attention to detail that make this game one of the best reasons to own a 3DS. Catching ghosts is a rewarding occupation, and the vast amount of hidden collectables could have you fighting to exorcise your inner completionist. With the addition an unexpectedly inventive and enjoyable multiplayer experience, 3DS owners will be hard-pressed not to cut Luigi just a little more respect. If Dark Moon was just a single-player experience, it would have been a fleeting, yet enjoyable adventure. But with the addition of an infectious multiplayer element that can't be replicated anywhere else, it makes Luigi's Mansion Dark Moon even better than its predecessor, and one of the clear-cut best games on the 3DS. For the most part, however, multiplayer supplements the single-player quest that is extremely fulfilling. Regardless of whether you played Luigi's Mansion, this sequel stands on its own merits, and in the process, became another fine entry in the growing 3DS library of quality titles in need of enthusiastic owners. Relish the experience. Luigi’s Mansion 2 might be a sequel, but it’s one that shows Nintendo at its inventive best. It’s an essential game in the 3DS’ increasingly impressive line-up, and though I sometimes wished that it would leave me alone to explore more at my own pace, it’s otherwise difficult to fault a game this detailed, absorbing and masterfully made. 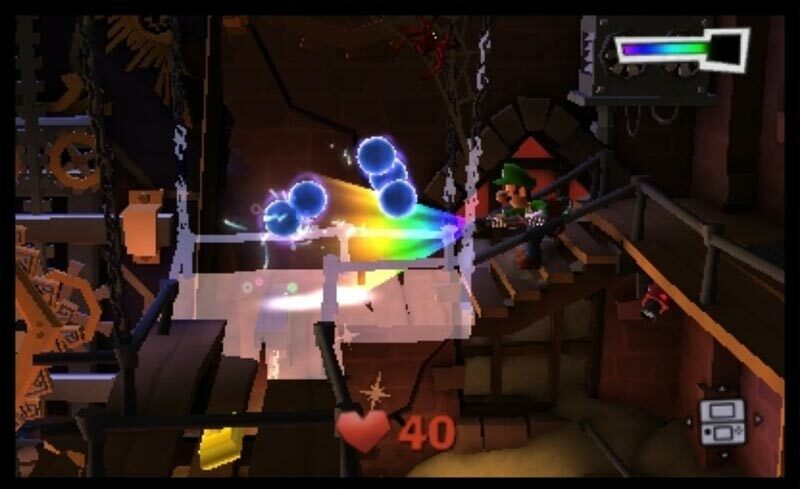 Luigi's Mansion: Dark Moon is a bit like Luigi himself: charming, goofy and utterly affable. The core mechanic of catching ghosts is solid and exciting, and the environments are absolutely worth seeing and exploring. It's got heart, but after trudging through all five of its locales, you may wind up feeling a little like a bedraggled, battle-worn ghostbuster yourself. Though the main game isn't incredibly long, there are collectables, bonus levels to unlock, and multiplayer modes. 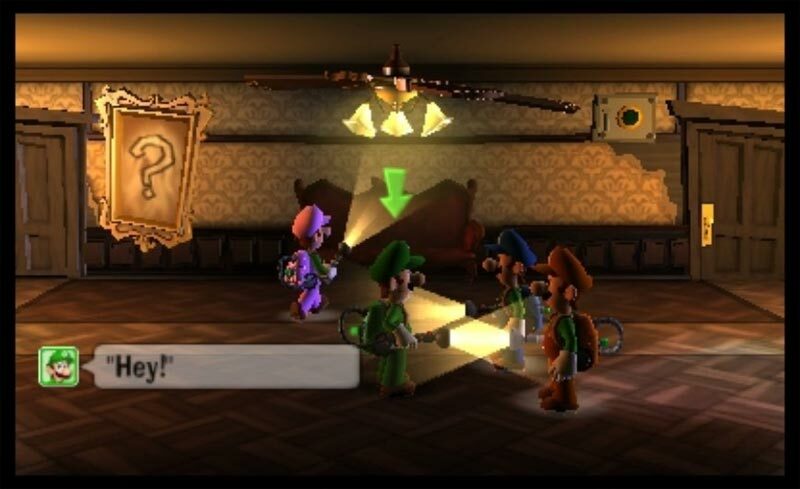 Ultimately, Luigi's Mansion: Dark Moon is a mostly pleasant game marred by the possibility of moments so frustrating, they threaten to overshadow the entire experience. These missteps are all the more disappointing because the better elements of the game are so charming. You may still want to take up the PolterGust 5000 and explore these haunted houses, but be warned: the things lurking in these dark places aren't likely to scare you, but they may well have you seeing red. It's gorgeous, as close to a playable cartoon as anything since Zelda: The Wind Waker. That's a big name to drop, but if Luigi's return doesn't quite put him in that class, it puts him in the running among Nintendo's finest. Here's hoping it doesn't go to his lovely, stupid, fallible head. And it's a minor criticism. Honestly, before I started playing I'd already formed the opinion that this was going to be solid title, nothing more. That was a mistake. This is one of the finest titles for the system. Hopefully it doesn't take Nintendo another ten years to make a sequel. Para que quede claro, es uno de los títulos más adorables que recuerdo haber jugado. En primer lugar porque derrocha humor, un humor inocente, blanco e irresistible sin el que no se podría concebir el juego y que lo hace tan especial; en segundo lugar porque tiene una mecánica intuitiva y eficaz que hace que quieras seguir aprendiendo, y en tercer y último lugar porque está excelentemente diseñado. Si tienes una 3DS, no querrás perderte este juego. Luigi’s Mansion 2 es un título desafiante que obliga al jugador a dar lo mejor de sí, mezclando la acción de cazar fantasmas con el espacio reflexivo del puzle que no sale ni a la de tres. A nivel audiovisual estamos ante un título sólido, con toques de humor muy acertados y la presentación de un Luigi con mucha personalidad. Luigi´s Mansion 2 es una aventura muy fresca, divertida y siempre sorprendente, que posee además una ambientación exquisita y todo el carisma que es capaz de aportar el hermano de Mario. Luigi da un paso al frente y demuestra su potencial con una aventura excelente. Es klingt vielleicht etwas härter, als das Spiel es letztendlich verdient hat, doch manchmal muss eben klar gemacht werden, wenn ein Spiel durch unkluge Richtungsvorgaben Schaden nimmt. Dank der wunderschönen, bis zum Rand mit Schätzen und Rätseln gefüllten Häuser sowie einer der besten Figuren aller Zeiten, bleibt Luigi's Mansion weiterhin ein gutes Spiel, es ist nur leider kein Fantastisches mehr. Que c'est bon ! Même ceux qui avaient apprécié Luigi's Mansion ne s'attendaient sûrement pas à un titre aussi complet et horriblement addictif ! Non seulement on retrouve une ambiance ultra soignée qui marie humour et fausse terreur, notamment grâce à un Luigi toujours aussi drôle, mais de plus, cet opus propose un contenu solo plus que conséquent et un excellent multi qui promet des heures et des heures d'amusement. A solo ou partilhado com amigos, Luigi's Mansion 2 é uma experiência essencial para a portátil da Nintendo. Não só é um dos jogos mais aguardados para a 3DS, como é um dos jogos que a consola mais aguardava. Numa aventura fantasmagórica recheada de desafios, vemos emergir um protagonista inusual que rapidamente nos conquista pela sua postura, tom cómico, mas também pela sua capacidade para resolver puzzles. Alla luce di quanto scritto finora, Luigi's Mansion 2 merita sicuramente il tanto tempo che i fan dell'originale hanno dovuto attendere prima di poterci mettere le mani sopra. Al tempo stesso, però, alcuni difetti nella sua struttura portante lasciano spazio ad ulteriori miglioramenti per un eventuale terzo capitolo. Che speriamo non arrivi tra altri 12 anni! Il gioco permette di organizzare sessioni con utenti di tutto il mondo o con solo amici inseriti nella propria lista, oppure di sfruttare un collegamento in locale con altri possessori di Luigi’s Mansion 2 e, infine, di utilizzare la modalità Download per chi non ha il gioco. Si tratta, in tutti i casi, di fasi di gioco piuttosto divertenti, anche perché organizzate attraverso delle mappe di gioco generate casualmente. Luigi is in deze nieuwe game een echte held, maar blijft het broertje van. Aan de grootsheid van dat game icoon kan niemand tippen. Dat is ook niet erg, want de blauwgroen-geklede loodgieter ligt het spokenjagen goed. Voor een puzzel oplossen, loopt dit huiverige personage ook niet weg. Nintendo voegt daarmee een nieuwe topper aan zijn handheld toe. Luigi heeft de stofzuiger goed door het eerste deel heen gehaald en een goed tweede deel neergezet. 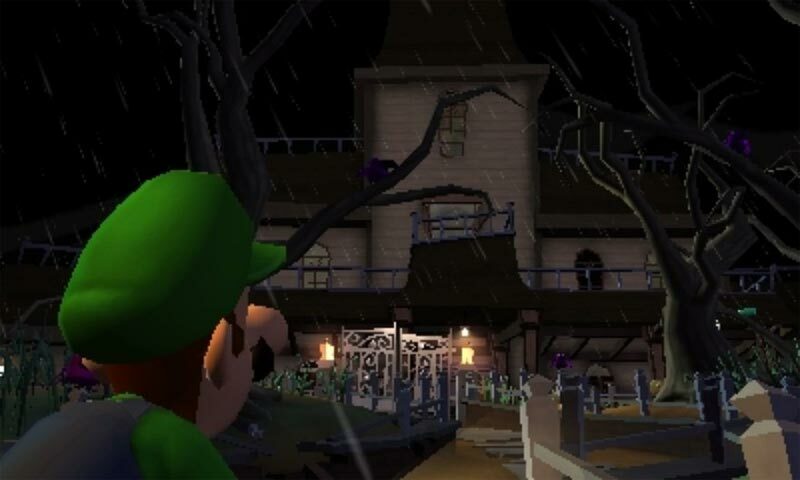 Luigi's Mansion 2 är en ytterst slipad produkt, ett praktexempel på Nintendos charm och en härlig comeback för spelvärldens mest celebre andrafiol. Det känns väldigt lyxigt att få ett så här komplett äventyr till lilla Nintendo 3DS och formatet har nu ytterligare en höjdare bredvid Super Mario 3D Land och Kid Icarus: Uprising. Vem kunde tro att en grön fegis och lite husgeråd kunde vara så här kul?